Chad Brinker enters his ninth season with the Packers’ pro personnel department after joining the team Jan. 31, 2010. He was promoted on May 25, 2018, to assistant director of pro scouting/salary cap analyst after spending the previous five seasons as a pro scout. Brinker originally came to Green Bay as a scouting assistant (2010-11). Brinker entered the NFL in 2003 as an undrafted free agent running back out of Ohio University with the New York Jets. He scored two touchdowns in preseason play before being waived in the team’s final roster reduction. Brinker was re-signed by the Jets following the ’03 season and was allocated to NFL Europe. He lined up at running back for the Cologne Centurions during the 2004 season before suffering a concussion in his third contest. Brinker was placed on injured reserve and was later released by the Jets. Brinker was a four-year starter and two-time All-Mid-American Conference selection at running back for the Ohio Bobcats. As a senior, he ran for a career-best 1,099 yards and remains Ohio’s sixth all-time leading rusher with 2,826 career yards. His 30 total touchdowns rank third in school history, and he also remains near the top in nearly every rushing category despite missing seven games as a junior after having an arachnoid cyst removed from his skull. Brinker also competed in track for the Bobcats, running the 60-meter indoor and 100-meter outdoor.  He received a specialized-studies degree in exercise science as an undergraduate at Ohio and earned a master’s degree in sports administration from his alma mater. Following his football career, Brinker entered the business world, working for Merck as a pharmaceutical sales representative and then later as an account manager for Stryker Medical. His passion for football never left him as he remained close to the game by also serving as the radio color analyst for Ohio University football from 2006-08. During the 2009 season, he was an assistant football coach at Westerville Central High School in Columbus, Ohio, coaching running backs and defensive backs. A four-year letterman at Martins Ferry (Ohio) High School, Brinker was a finalist for the Mr. Ohio Football Award and a USA Today All-American. He twice earned first-team all-state honors and also lettered multiple times in basketball, baseball and track. Brinker resides in Green Bay with his wife, Rachelle, and their three daughters, Madison, 6, Kennedy, 3, and Abigail, 2.